ASBURY PARK, NJ—People lose jobs, go broke, and travel across the globe to see shows like the Grateful Dead at the Pyramids or Cream’s London reunion or Bruce Springsteen and the E Street Band’s Asbury Park rehearsal shows. 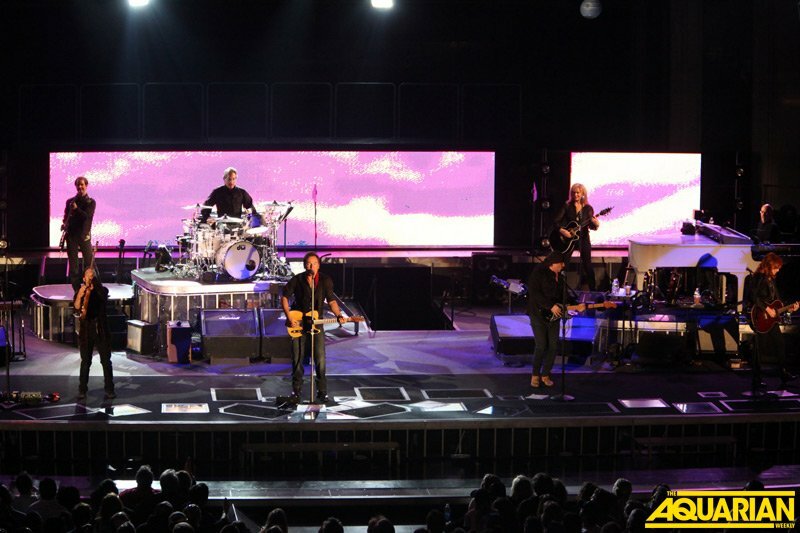 This time Bruce invaded the college gym-sized hall to rehearse for the upcoming Working On A Dream tour. The full-sized arena stage was in place, taking up literally half the floor, giving an almost claustrophobic feel to the room. Everywhere was right on top of the stage. Those who couldn’t get in listened outside on the boardwalk. Some just had to be there. Is this act past its prime? Is Springsteen going in some weird direction with this new release? Yes! Exactly what many said about Nebraska and Tunnel Of Love. Both now epics for the Bruce fan. But this time, the issue is time. You can deny some things, but the age factor is such that this may well be the last time any incarnation of the E Street Band tours. Or should. Clarence and others are showing their age and that’s a statement of fact. There is no blame, no negative attached to it at all. If you must, blame the calendar. The march of time hit what was once young and rebellious by definition. Rock and roll is now old, it’s been around for well over 50 years and a couple of generations got to see it born and change their world, but things get old. They just do. Bruce still works the stage like a gymnast, still has the vocal energy. 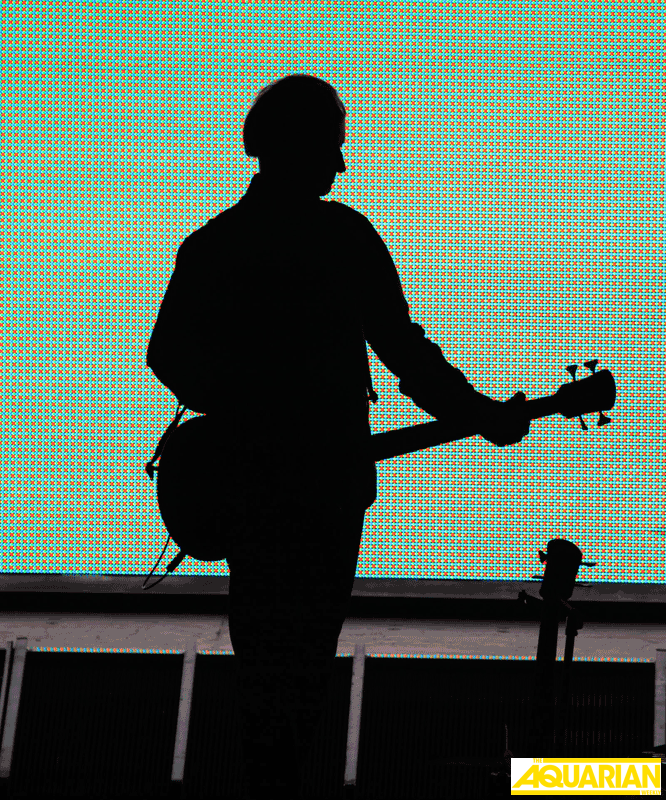 Nils still sprays guitar effortlessly. Max Weinberg’s kid Jay had mouths agape as he subbed for his dad on some songs, as he will on some dates that conflict with Max’s Conan gig. The kid can play. No worries there. The rest of the band look and sound great, Clarence hasn’t lost a thing on that sax. So for now, we have a Bruce Springsteen and an E Street Band. It’s difficult to see how the show will work in larger arenas. Also difficult to gauge how songs from Working On A Dream will work. Songs from the new release were noticeably few and far between. 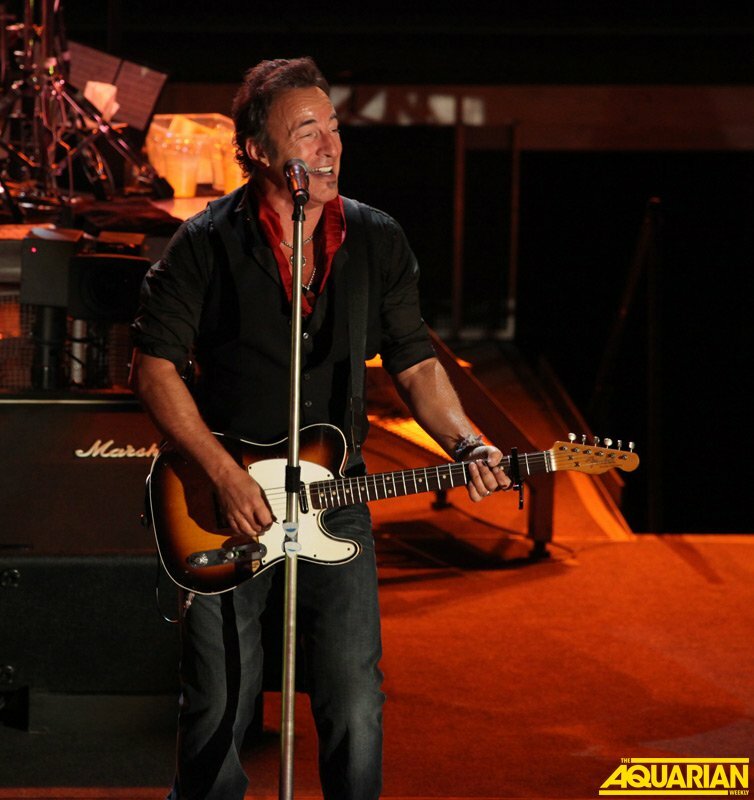 Bruce in the past has used these rehearsal shows to showcase the new stuff, putting it front and center. That didn’t happen. 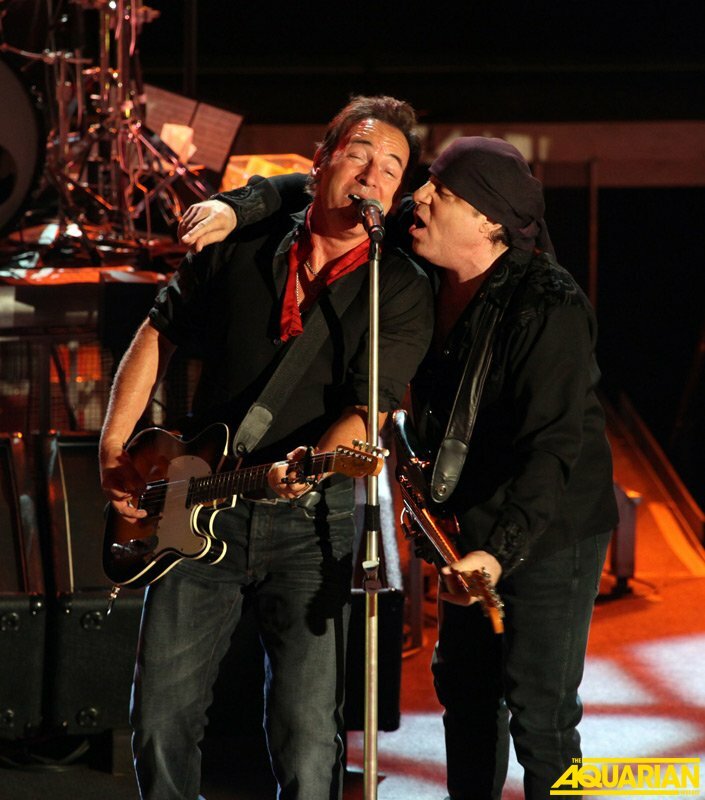 This time, the shows had more of the feel of celebrating that Asbury Park and Bruce and The E Street Band are all still around and can still get together and give people a night of music they will do almost anything to hear.